Oracle Enterprise Manager delivers comprehensive capabilities to manage, migrate, test and deploy across hybrid cloud, providing for 100% reuse of existing IT operations management skills and practices. 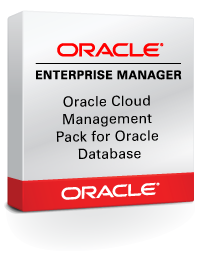 Oracle Enterprise Manager streamlines and automates complex management tasks across the complete cloud lifecycle. On-premises administrators can monitor and manage public cloud services, and vice versa. Oracle Cloud services are managed by the same Oracle Enterprise Manager tools that customers use on-premises to monitor, provision, and maintain Oracle Databases, Engineered Systems, Oracle Applications, Oracle Middleware, and a variety of third-party systems. This additionally eliminates the costly consequences of purchasing and learning numerous new tools to manage enterprise hybrid clouds. Enterprise Manager Cloud Control now provides you with a single pane of glass for monitoring and managing on-premise, Oracle Cloud, and Oracle Cloud Machine deployments, all from the same management console. By deploying Management Agents onto the Oracle Cloud virtual hosts serving your Oracle Cloud services, you are able to manage Oracle Cloud targets just as you would any other targets. The communication between Management Agents and your on-premise Oracle management service instances is secure from external interference. Support is provided for managing Oracle Database and Fusion Middleware PaaS targets, as well as JVMD support for monitoring JVMs on your Oracle Cloud virtual hosts.